At Visions Photography, it’s all about you, who you are, what you stand for, what makes you special! We take our time, get to know you, and then give you extraordinary , award winning, artistic images that represent the REAL YOU! We will be seeking spokesmodels for the Class of 2013 from Prairie, Washington, Linn Marr, Jefferson, Kennedy and Iowa City West starting March 1st, 2013. 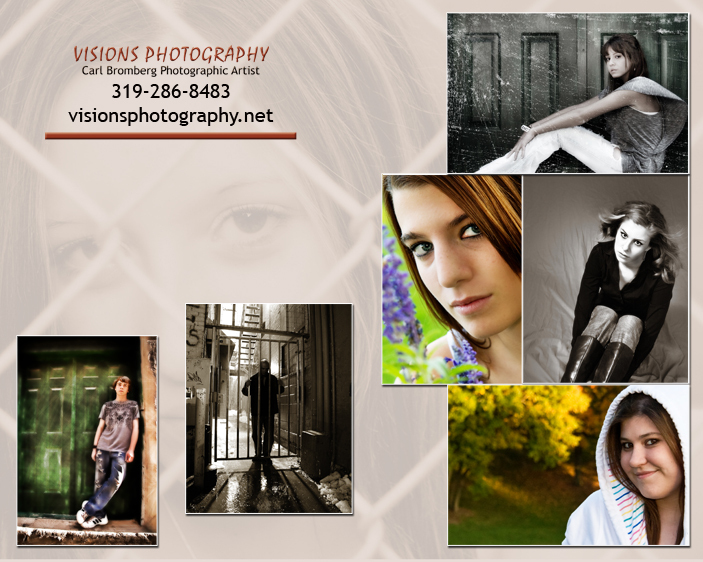 If you would like to be considered, please contact us at 319-286-8483 or email carl@visionsphotography.net for details. You must apply by April 15, 2013! Download it and fill it out, or email the information it asks for back to us. Parental permission is required, no exceptions.